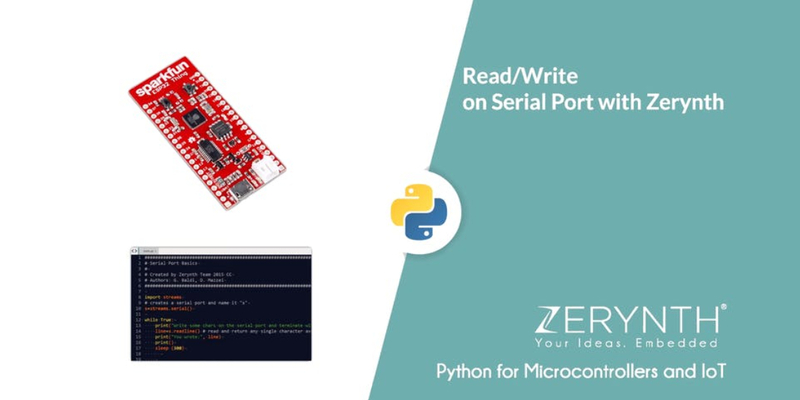 In this tutorial, we’ll see how to read and write on a serial port using Zerynth. A serial monitor acts as a separate terminal that lets you send and receive Serial Data, handy for debugging and also controlling the board from a keyboard! SparkFun ESP32 Thing. You can select one of the 32-bit microcontroller devices supported by Zerynth. We’ve chosen the ESP32 Thing by SparkFun (read Zerynth documentation here). Zerynth Studio, our IDE, one of the most popular Python tools for programming microcontrollers. No assembling is required for this project. Clone and uplink the Zerynth example “Serial Port Read-Write Basics” as shown in the video.